Challenge your body in a fresh, innovative way with this highly effective Balance Ball workout. By using functional exercises (those that mimic everyday activities), you'll see significant results with less risk of injury. This brand new blend of balance and endurance will help you build strength and stability while improving your posture and toning your entire body. Whether you are new to the Balance Ball or already know it s amazing potential, let Tanja Djelevic teach you some new moves. 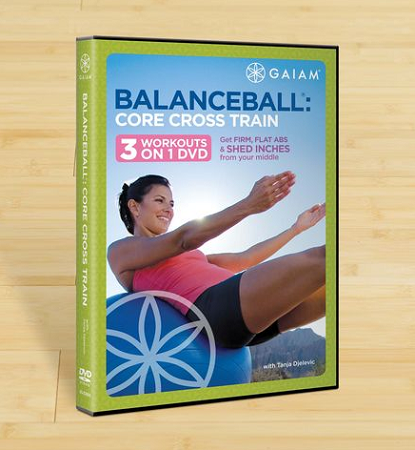 DVD includes three workouts featuring balance and endurance moves to increase flexibility and core strength. Includes modification for beginners. Approximate Run Time: 60 minutes. Upper Body (20 minutes): Strengthen and tone your upper body with a fresh blend of balance and endurance work. Lower Body (20 minutes): Firm up those trouble spots with focused ball work to build strength and stability in glutes, hips, hamstrings, and more. Abs & Core (20 minutes): Increase core strength in abs, back and obliques while improving overall posture and flexibility.